I love back to school. The newness of pencils and backpacks. Blank notepads to be filled with new idea's. New friends to be made, and of course, NEW CLOTHES! When we heard that Made for Mermaids was holding a Back to School tour, we had to join in! 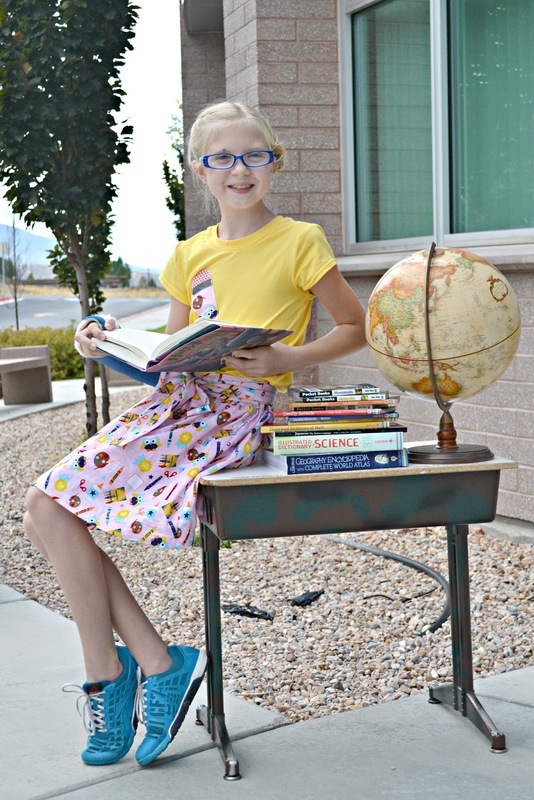 This is our second year into homeschool, so no dress code for us! But I remember the struggle when the kids did go to public school and I would have loved the charts and checklists Made For Mermaids has made to help with planning around them! You can join their Facebook group to get the downloads. 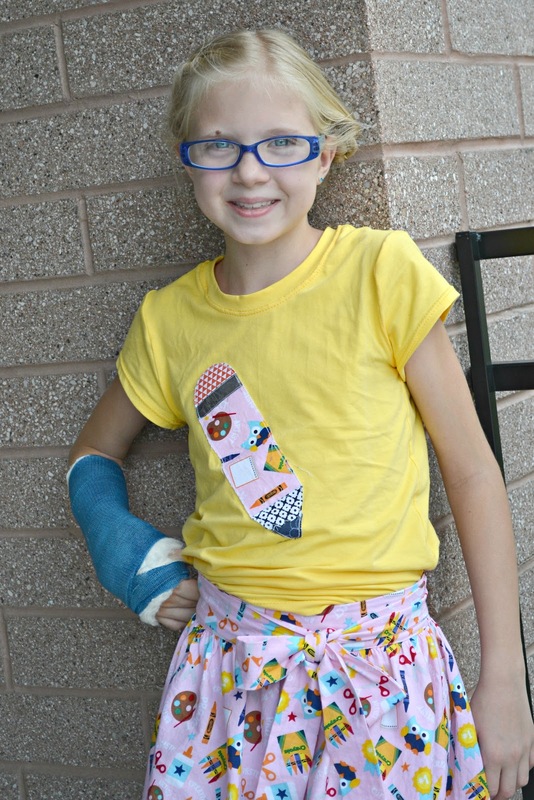 Aevs has felt rather left out with sewn goods this summer and begged to get the first back to school outfit. She's had a pretty rough summer, so how on earth could I say no? She loves skirts and wanted the Samantha Suspender Skirt. I can't blame her. It's absolutely adorable. We opted to do the side ties rather than suspenders. 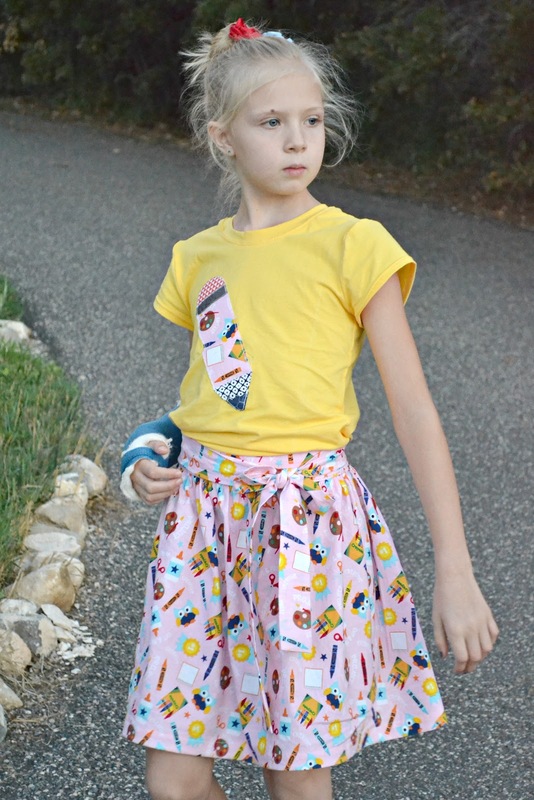 Aevs also chose the fabric and went with Riley Blake's Crayola Color Me in Pink. Is it not perfect for back to school?? 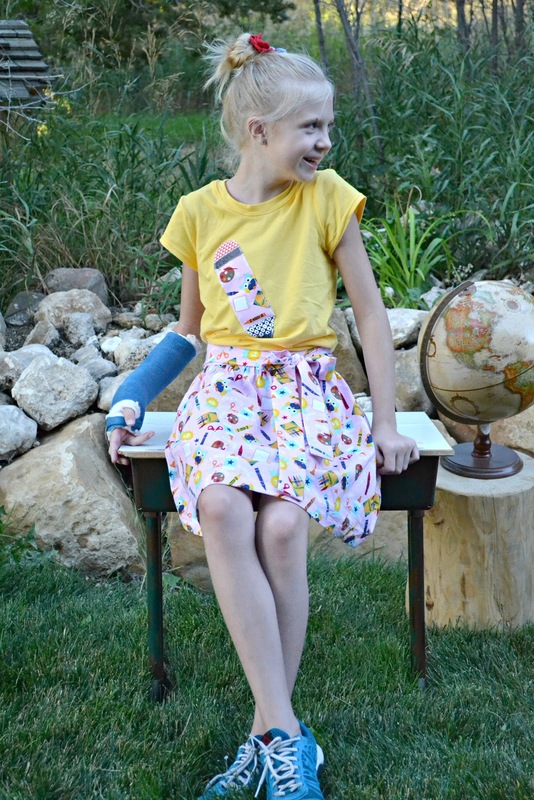 For her top we made the Charlotte Collar Top in Riley Blake Solid Yellow Knit and modified the collar with a neckband to make it the perfect t-shirt. We added a Back To School Pencil free motion applique by the Crafting Fiend. I can totally see this shirt being a staple for the girls. Those cap sleeves are just so perfect! Made For Mermaids Patterns are 20% off on sale with the code M4MB2S for the duration of the tour! 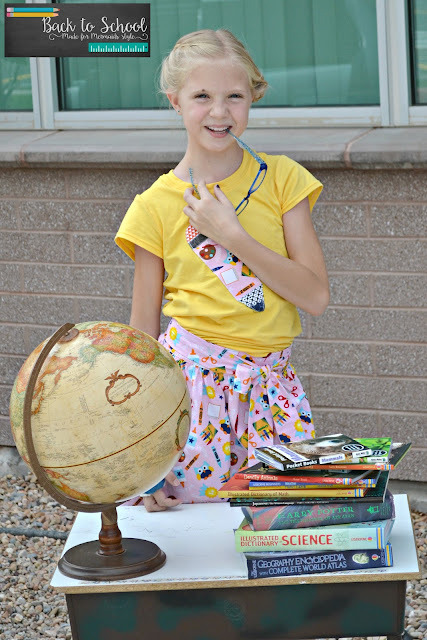 Make sure to check out all the other Back to School outfits too! Yay! I love what you did and the FMA is perfect for back to school. Did you modify the sleeve on your Charlotte to not be gathered? I may need to do that! It does make a perfect tee. LOVE her outfit, it is perfect! Thank you! awesome set for back to school! I can totally see my youngest wearing this! I LOVE StitchART FMA's by the Crafting Fiend! So cute! GORGEOUS outfit!!!! 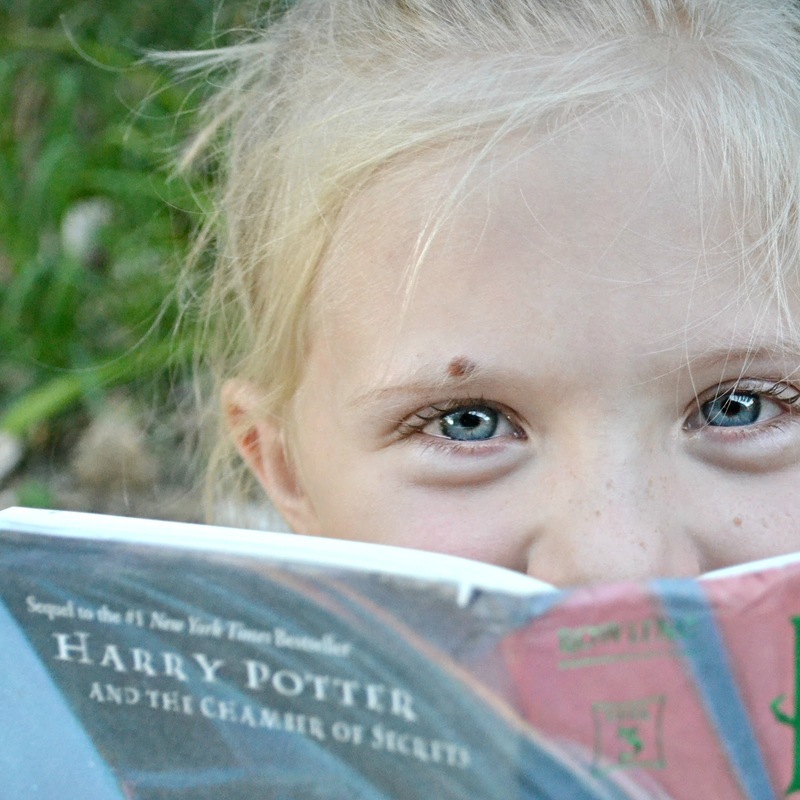 and oh my lanta that girl's eyes!!! sooo pretty! In love with the FMA and the fabric on the skirt! Adorable! I love the applique.